Here at UKAA we have in stock a large selection of vintage reclaimed Church chairs for sale. 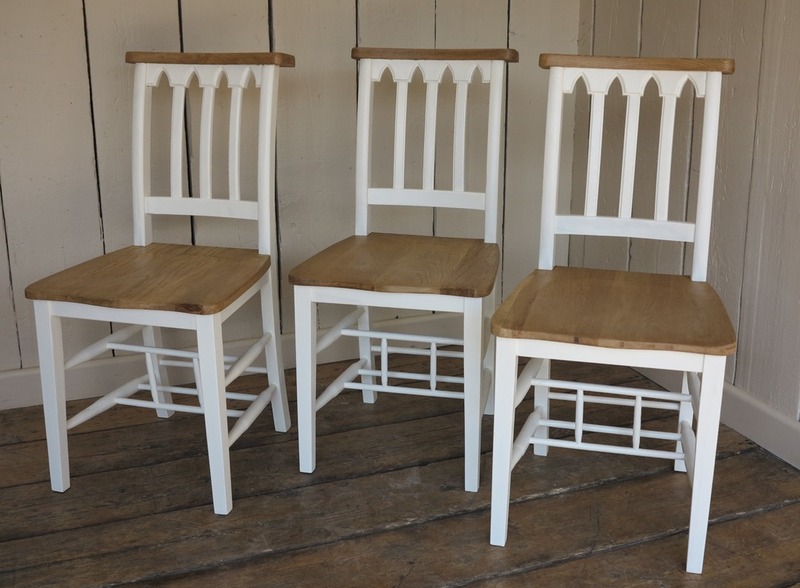 These chairs have been salvaged from Chapels and Churches from around the UK. Each chair has been checked for flaws and lovingly restored. The chairs can be purchased in their original waxed finish to show their natural patina, alternatively, they can be painted in the colour to match your decor. These chairs are difficult to obtain and we do not anticipate taking any more stock in the near future. If you are considering purchasing any of our chairs we would urge you not to delay as they are selling rapidly. At UKAA we stock a large range of antique Chapel and Church chairs that are available for sale. These chairs are ideal to accompany our handmade bespoke kitchen and dining tables which are made here in our workshop in Staffordshire. Our chairs are lovingly restored by our team of skilled craftsmen. They can be left in their original waxed finish or they can be painted in the colour of your choice giving a more modern look. If you are contemplating purchasing any of our chairs we would advise you not to delay as they are selling fast and we do not envisage receiving any more stock in the near future. At UKAA we have in stock antique chairs which have been reclaimed from Churches and Chapels from around the country. We are fully up to date with the refurbishment of the chairs, all the chairs we have are advertised on our website. We do not currently have any more in the pipeline. If you are considering purchasing any of these chairs we would urge you not to delay as they are selling fast. All our stock can be viewed on our website or at our reclamation yard in Cannock Wood, Staffordshire. At UKAA we have for sale a large selection of reclaimed Chapel and Church Chairs which have been rescued from around the UK. All our chairs are lovingly restored and examined for imperfections. The chairs can be left in their original waxed finish or they can be painted in the colour of your choice. All our chairs can be viewed on our website or at our reclamation yard in Cannock Wood, Staffordshire. Here at UKAA we have a wide range of reclaimed Church chairs for sale. These original chairs have been acquired from Churches and Chapels from around the country. Each chair is checked for defects and lovingly restored. 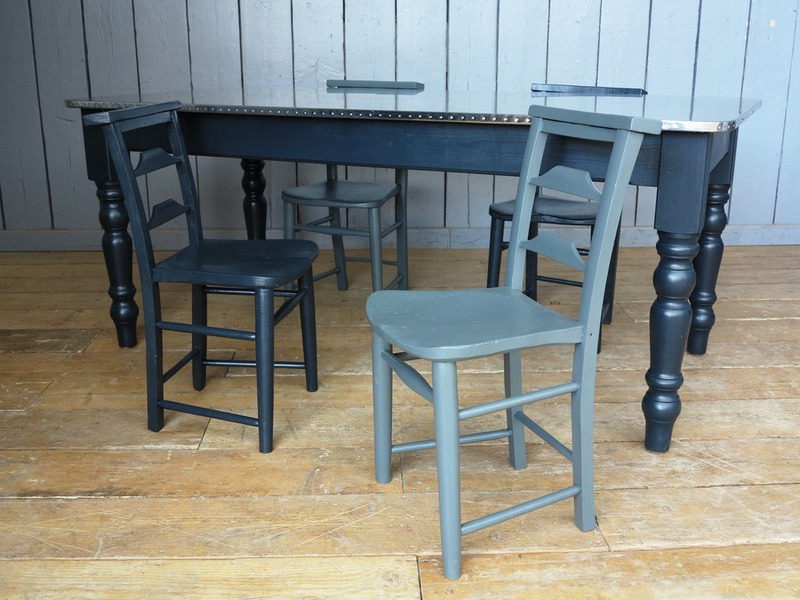 The chairs can be painted in the colour of your choice to give a modern look or can be left in their original waxed finish to show off their natural patina. At UKAA we have a selection of reclaimed antique bells. These include antique Church and school bells, wall mounted bells and nautical bells in a range of metals such as bronze and iron. Come and visit us at our reclamation yard in Staffordshire or view our stock online. At UKAA we always have available for sale a range of reclaimed vintage and antique Church chairs for sale. We have salvaged the chairs from Chapels and Church’s around the country. We can paint any of our reclaimed chairs bespoke to order in a colour of your choice. Each chair is hand painted on site at UKAA and can be painted in a solid finish or distressed to suit. Reclaimed chairs are ideal to use as kitchen or dining room seating. For more information on our chair painting service please call the team on 01543 222923 and we will be able to help or we are available on live chat during office hours. This was presented by their Son Major Sydney Griffith who was fifth battalion of the South Staffs Regiment. These chairs are very solid and are in fantastic condition with just a few small scuff marks commensurate with their age. These were reclaimed from Hamstead Road Baptist Church in Birmingham and are now here at UKAA awaiting to take pride of place in their new home. From Ancient times Bishops of Roman Catholic, Eastern Orthodox and Anglican churches have been formally seated on a throne like the one in our set of 5. This throne is also known as a Cathedra. The Cathedra is traditionally located in the sanctuary of the church along with the Altar and it symbolises the Bishops authority to teach the faith and to govern his flock. For more information on our bespoke zinc, copper or wooden tables then please do call the office on 01543 222923. 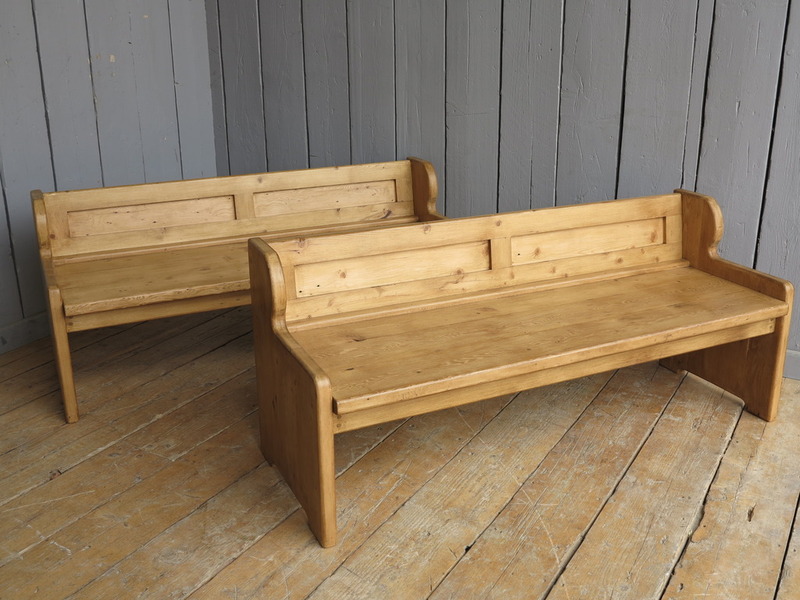 Here at UKAA we can make church pews out of reclaimed pine bespoke to your requirements. We have recently made these two fantastic church pews which are specifically designed to fit underneath our customer's windowsill; hence the low backs. Our highly skilled onsite joiner can make nearly any item in any size!